The time - the early 1970's. The place - New York City. December 8, 1973 / #4 "Louie, We Have You Surrounded"; National Lampoon® Radio Hour Call-In Show; "Catch It and You Keep It"
January 26, 1974 / #11 /Dudley Moore and Peter Cook; God Attends a Boxing Match; Monopoly with Nixon; Joe Namath Out to Pasture; "Let Us Speak English"
May 25, 1974 / #28 / "The Sluts From Space, Part 1"
June 2, 1974 / #29 / "The Sluts From Space, Part 2"
June 8, 1974 / #30 / "The Case of the Mad Vandal, Part 1"
June 15, 1974 / #31 / "The Case of the Mad Vandal, Part 2"
September 5, 1974 / #43/ "The Case of the Mad Vandal, Part 1 [repeat]"
September 12, 1974 / #44 / "The Case of the Mad Vandal, Part 2 [repeat]"
September 26, 1974 / #46 / "Moby! The Musical"
December 21, 1974 / #58 / "Christmas Show"
December 28, 1974 / #59 / "The Final Show" Laughs From the Past: Collage of Highlights from the National Lampoon® Radio Hour; Closing Credits for the Series; "Honk! Honk! Why, It's Wobbles the Goose!" *-All Original Air Dates are based on a Saturday airing. Listen to NLRH on XMRadio.com! Missing for years, the National Lampoon® Radio Hour originals return to the air. You'll hear the likes of John Belushi, Chevy Chase, Gilda Radner, Richard Belzer, Bill Murray, and many more stars from the years before Saturday Night Live®. National Lampoon®, the launching pad for dozens of comedy's greatest performers and writers over the past few decades, has produced such classics as Animal House and the Vacation movies as well as the radio show and numerous live stage shows. "We chose XM for our partner in this venture because of the potential for growth in the medium," said Alan Donnes, whose company Network One has exclusive rights to the radio program. "We feel that satellite radio is the future and XM is the future of satellite radio." Network One will provide XM with National Lampoon®'s entire library of archived radio shows created prior to the Saturday Night Live era, including skits from renowned comedians such as John Belushi, Billy Crystal, Gilda Radner, Bill Murray, and Harold Ramis. The hour-long shows will be featured on one of XM's comedy channels. As part of the relationship, XM will contribute funds to Gilda's Club, which provides places where people with cancer and their families and friends join with others to build social and emotional support as a supplement to medical care. The National Lampoon® Radio Hour first aired in 1973 and launched the careers of many of the cast members of the first legendary line up of Saturday Night Live® including John Belushi, Chevy Chase, Gilda Radner and Bill Murray. In addition, the show also introduced such comedy heavyweights as Billy Crystal, Second City Television's Harold Ramis and Christopher Guest, one of creators of the mock metal band Spinal Tap. A three-CD set of material from the Radio Hour is currently available at retailers through Rhino Records. The NATIONAL LAMPOON® RADIO HOUR, NATIONAL LAMPOON® and all related items are trademarks of J2 Communications, Inc. All rights reserved. This is an unofficial site not affiliated with J2 Communications. "Honk! Honk! 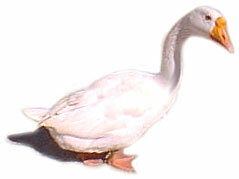 Why, it's Wobbles, the Goose!"